Do you have photos, historical accounts or other items pertaining to the Illgen City area? Would you like to share this historical information with the world? LakesnWoods.com would like to publish your Illgen City photos (current or historical) or historical accounts on this website. Original materials can be returned and your privacy will be respected. Illgen City is an unincorporated community in Beaver Bay Township, Lake County, Minnesota. 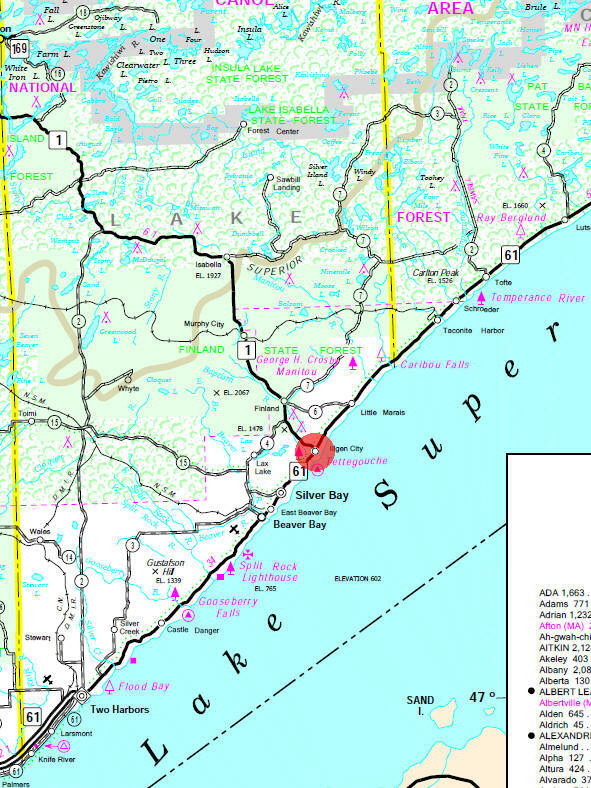 The community is located northeast of the city of Silver Bay at the junction of Minnesota Highway 61 and Minnesota Highway 1, on the North Shore of Lake Superior. 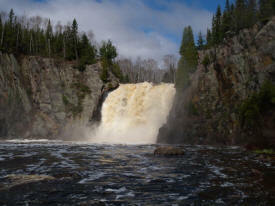 Tettegouche State Park, the Baptism River, and the Palisade Head rock formation are all nearby. Beaver Bay Township is a township in Lake County, Minnesota on Lake Superior. State Highways 1 and 61 are two of the main arterial routes in the township. According to the United States Census Bureau, the township has a total area of 140.2 square miles (363.1 km²), of which, 138.6 square miles (358.9 km²) of it is land and 1.6 square miles (4.2 km²) of it (1.16%) is water. The elevation is 1,588 ft (484 m). As of the census of 2000, there were 582 people, 242 households, and 163 families residing in the township. The population density was 4.2 people per square mile (1.6/km²). There were 403 housing units at an average density of 2.9/sq mi (1.1/km²). The racial makeup of the township was 97.77% White, 0.17% African American, 0.34% Native American, 0.17% Asian, and 1.55% from two or more races. Hispanic or Latino of any race were 0.17% of the population. There were 242 households out of which 20.2% had children under the age of 18 living with them, 64.5% were married couples living together, 1.7% had a female householder with no husband present, and 32.6% were non-families. 26.9% of all households were made up of individuals and 10.7% had someone living alone who was 65 years of age or older. The average household size was 2.33 and the average family size was 2.79. In the township the population was spread out with 21.5% under the age of 18, 5.3% from 18 to 24, 22.3% from 25 to 44, 31.1% from 45 to 64, and 19.8% who were 65 years of age or older. The median age was 45 years. For every 100 females there were 104.9 males. For every 100 females age 18 and over, there were 102.2 males. The median income for a household in the township was $43,438, and the median income for a family was $49,063. Males had a median income of $42,222 versus $25,625 for females. The per capita income for the township was $19,188. About 4.1% of families and 6.2% of the population were below the poverty line, including 5.3% of those under age 18 and 3.1% of those age 65 or over. Illgen City has been typified by a well known sign on Highway 61 which says "Illgen City population 4, room for lots more." Illgen City was named for the Illgen family who settled the area in 1924. When the new Highway 61 opened in January 1925, the family built the Aztec Hotel. The hotel was about 70 x 70, and built in the style of the Mayan Indians from Ucatan, Mexico. The hotel had twelve rooms upstairs, a large lobby, dining area and bar on the main floor. There was no electricity until 1937, so they had their own light plant. There was no refrigeration, so they cut their ice at the mouth of the Baptism River. The Aztec Hotel was the halfway stop for people traveling the North Shore from Duluth to Grand Marais and Canada, for thirty years. Unfortunately, the Aztec Hotel no longer exists. Come to Tettegouche for a great sense of the North Shore: the spectacular overlooks at Shovel Point; rocky, steep cliffs and inland bluffs; the cascading 60 ft. High Falls of the Baptism River; and the historic Tettegouche Camp where visitors can stay the night. This is a hiker's paradise with miles of trails that overlook the Sawtooth Mountains and wind down to inland lakes accessible only by foot. The Palisade Valley Unit features broad scenic vistas coupled with an expanse of multi-use, four-season trails. 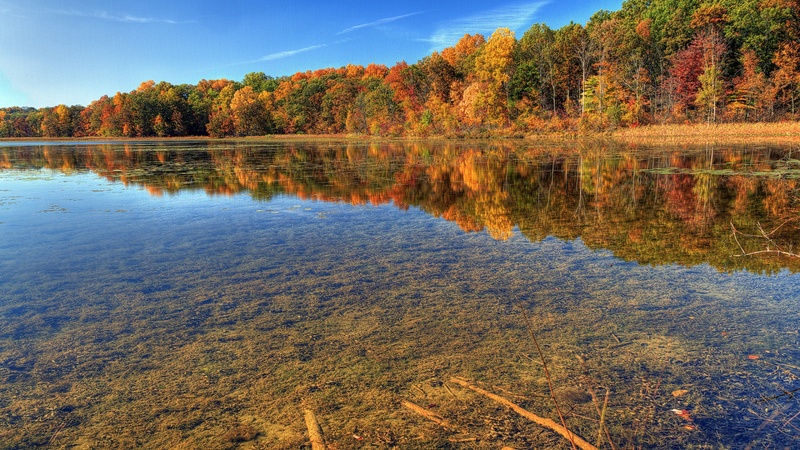 Two more trout lakes complement the fishing opportunities within the rest of the park. The park is also known for rock climbing opportunities and quality birdwatching in the spring, summer, and especially the fall.